Check out this vintage combination appliance found on eBay. 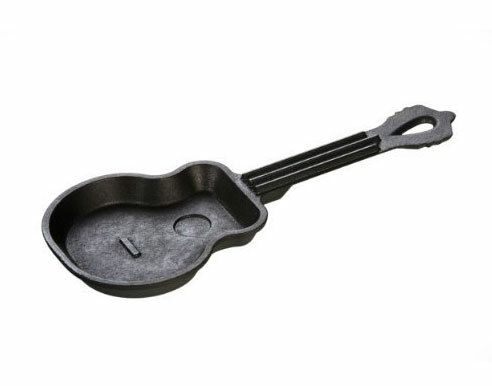 Combining a skillet and a toaster oven, the Glorette is an all-in-one countertop appliance solution for the discerning cooks of the 1920s and ’30s. 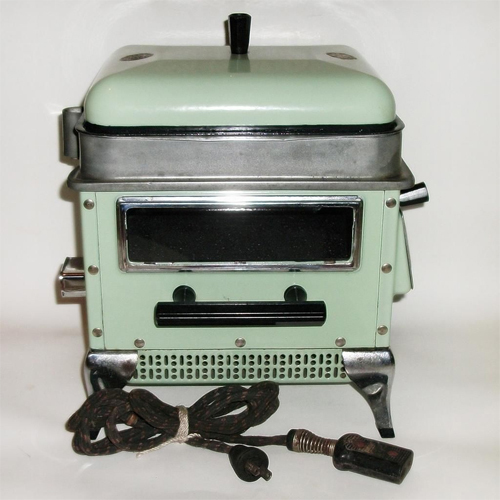 Described as “working and fully functional,” the Rare Glorette Jade Green Porcelain Tabletop Stove Skillet Oven / Toaster Oven is a current auction that is set to end March 11. For comparison’s sake, check out the MaxiMatic EBK-200 Elite Cuisine 3-in-1 Multifunction Breakfast Deluxe Toaster Oven/Griddle/Coffee Maker, Blue . 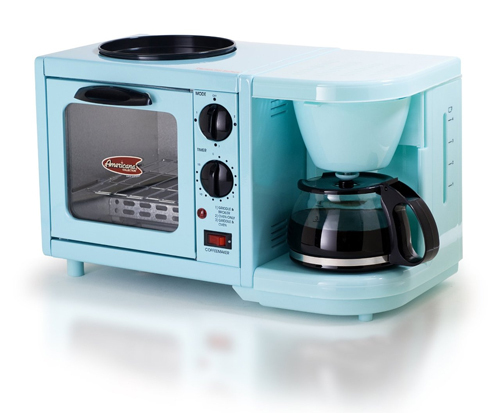 Just imagine what the retro griddle oven combo would look like if they had the coffee craze back then! 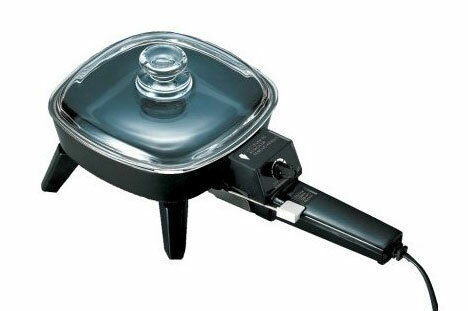 There isn’t much kitchen gear that only requires a single purchase; things break, wear out or just become obsolete. 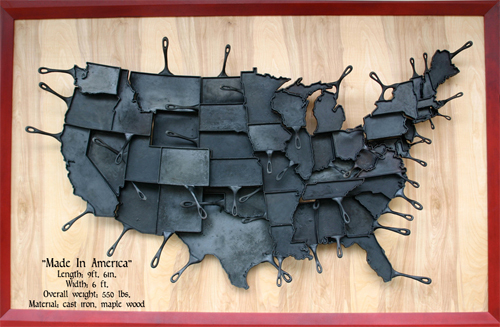 However, when it comes to cast iron cookware, that sentiment is thrown out the window. 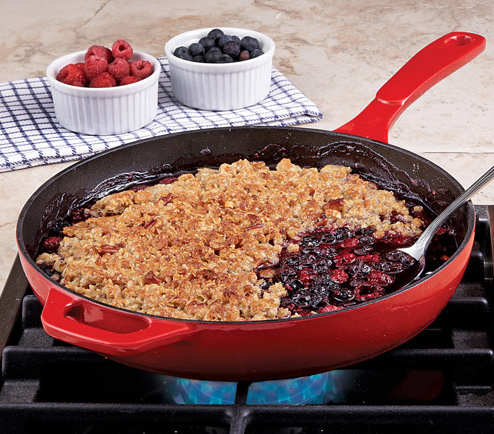 The Lodge Enamel 11-Inch Skillet is a highly durable piece of cookware that will help to create many a meal. And it will probably last longer than that Hot Dog Factory you may have been thinking about. With high sides and heat-retentive qualities of cast iron, the Lodge 11″ enamel skillet is perfect to deep fry, bake, broil or marinate. This revolutionary cast-iron cookware features black porcelain enamel interior, ensuring easy release of food and mess-free cleanup. No seasoning required. This enameled cookware has the superior heat conductivity to fry, braise, saute or deglaze and produce exceptional results. Adds golden-crisp texture to rolls, casseroles and desserts. Preferred for durability and low maintenance, the even-heating base, side walls and solid weight of cast iron seals in moistness to create health meals with country-style homemade flavor.